Protein treatments can improve the appearance of dry, damaged hair. A home protein mask can smooth the hair shaft, adding shine and reducing frizz and flyaways. While you can purchase protein-based conditioning treatments at the drugstore or salon, home remedies based on eggs are an affordable and convenient alternative. Protein fortifies the hair shaft, making it less brittle and reducing breakage, according to Gary Travis, an Atlanta stylist. Protein treatments are most appropriate for damaged, naturally dry or chemically treated hair. Gentle protein treatments, like home protein masks, are suitable for mildly damaged hair. Healthy hair, even if it is dry, does not require additional protein treatments but can benefit from styling products with protein. Homemade protein conditioners can rely upon several different ingredients, but eggs are the most common choice. Depending upon the recipe, whole eggs, egg whites or egg yolks may be used. Typically, eggs are combined with yogurt, olive oil, mayonnaise or honey to create a conditioning protein treatment for damaged hair. The ingredients can be mixed in a bowl, then worked into damp hair. Try combining 1 tablespoon of olive oil with one egg yolk and 1 cup of warm water, or one egg yolk, 1 tablespoon of honey and 1/2 teaspoon of almond oil. 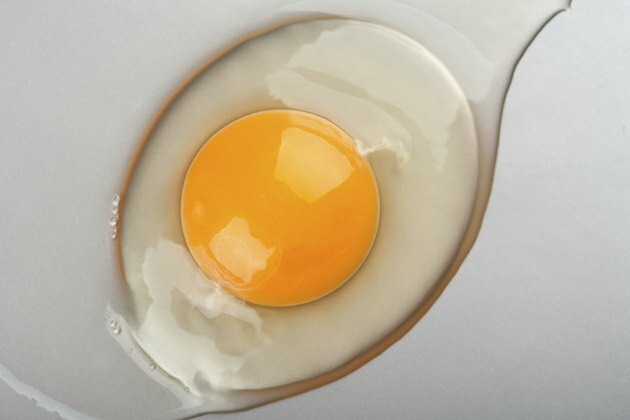 Make an easy protein treatment by combining egg yolks and plain yogurt, recommends DailyGlow. Shampoo your hair, then gently towel dry to remove excess moisture. Detangle hair with a wide-tooth comb, then work the protein treatment through your hair from the ends upward, focusing on the shaft and ends of the hair rather than the roots. Cover your hair with a plastic shower cap or plastic wrap. Leave the protein treatment in place for at least 30 minutes or as long as 90 minutes. Rinse your hair with cool water and follow the protein treatment with your preferred conditioner. Consider several factors when deciding how often you should use a home protein treatment. 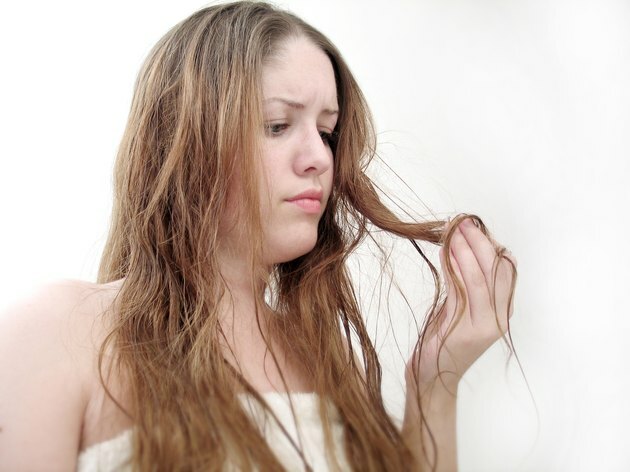 Very dry, curly or extremely chemically damaged hair may benefit from more frequent treatments. Bi-weekly protein treatments may be ideal for chemically relaxed hair, while naturally dry or curly hair may be helped by one protein treatment every two months, suggests Long Healthy Hair Advisor. Protein treatments are considered reconstructing treatments -- and these can be drying, so you may need to add moisture. You can add moisture to homemade treatments by including olive oil or almond oil in your mixture or opting for a moisturizing conditioner after a protein treatment. More intense commercial treatments should be used with care and the support of your hair stylist to avoid hard or crunchy hair. Can I Heat Whey Protein?